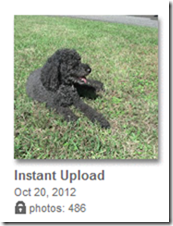 Automatic upload pictures – Learn Picasa and Google Photos! I take lots of pictures with my Android smartphone. But, then what? They’re just on my smartphone right? In my case they are also in the cloud – in a private album called Instant Upload on Google+. 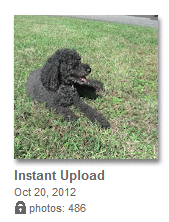 The Instant Upload album is also viewable thru Picasa Web Albums. 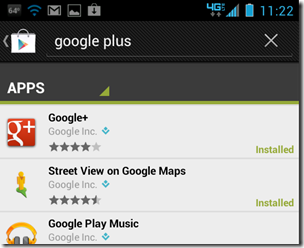 Google+ Instant Upload is available for Android and iPhone – or other iOS devices. So, if I take a bunch of pictures with my smartphone, later in the day when I’m at my computer I will be able to view them by going to Google+ and opening the Photo Album called Instant Upload. I gotta admit, the first time this happened it was a little freaky. How did those get there? So, I looked into it a bit and realized that I had recently installed the Google+ App on my phone, and Instantly Upload photos is a default setting. When Google+ does the uploading, it resizes the picture to a maximum of 2048 pixels on the longest side. So the picture of our dog, Odie above is 2048X1155 pixels and takes up 1133KB of space. I use my pictures primarily on web pages, and I think 1024pixels is plenty big, so the 2048 limitation imposed by Google+ is just fine with me. The picture that still is stored on my phone is 3264 pixels on its longest side and takes up 3.25MB of space. As long as you accept the default size that Google+ imposes, you have unlimited storage space for your photos! For Free! Next, you need to download the Google+ App to your phone. 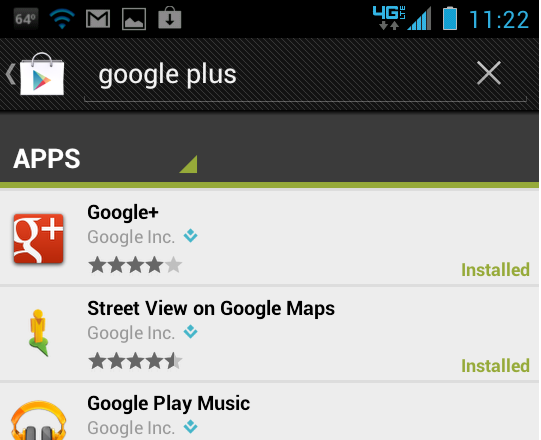 go to your Google Play Store on your phone and search for Google Plus, then click Install. It’s free. Third, and last, check the settings on your Google Plus App to be sure they match what you want. For example, if you have a limited data plan on your phone, you may want your photos to be uploaded ONLY when you are connected to a Wi-Fi hotspot – that’s a setting. OR, in my case, I have unlimited data, so I don’t mind the upload taking place when I’m using my Verizon data, but I don’t want to drain my battery any more than necessary, so I set the setting for Battery to only upload pictures when the phone is plugged into a charger. With the Google+ app opened, just touch the menu button on your phone, then Settings, and you’ll see all the options.